In our What’s for Dinner segment, this week we’re talking empanadas. Given it’s the dead of winter, we are trying to eat plenty of soup dumplings. We share our favorite spots to slurp them here in Philly. 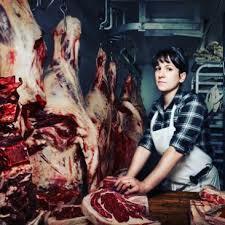 We sat down with Heather Thomason of Primal Supply Meats to talk about local meat, butchery, and running an old-fashioned kind of business in the internet age. At the market this week, we’re buying one of our many favorite winter citrus fruits: grapefruits. Really enjoy the Primal Supply Meats share that we have. The meat is piling up a bit in the freezer, but I’m using that for inspiration. I’ll go down there, find something that we want to have and find the recipe. Have also added on to our bi-weekly shipping for specific meals, which has been great, too.